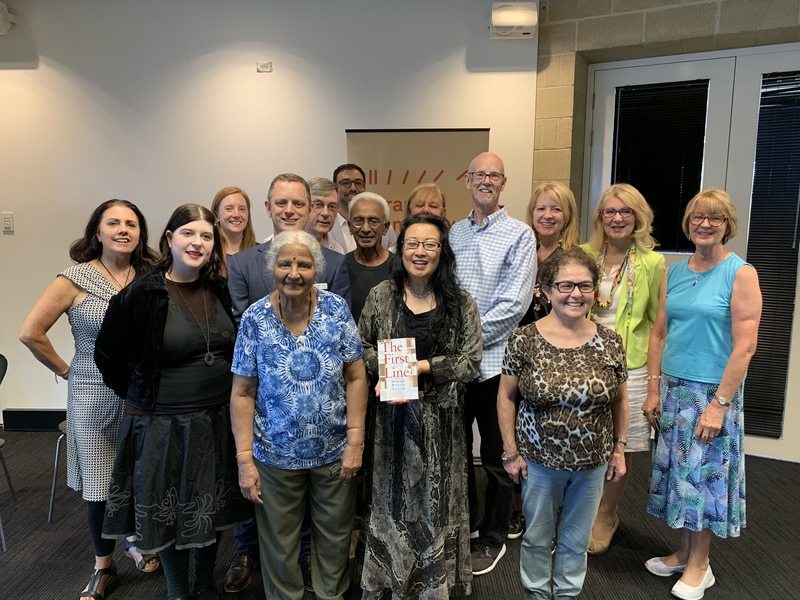 Tale Publishing was thrilled to launch Bala Mudaly’s new book, Colours of Hope and Despair last month. By a narrow margin, the launch was the most successful we’ve had in terms of sales in our short history. Part of the proceeds from the sales of the book went to Amnesty International, a cause close to the author’s heart. 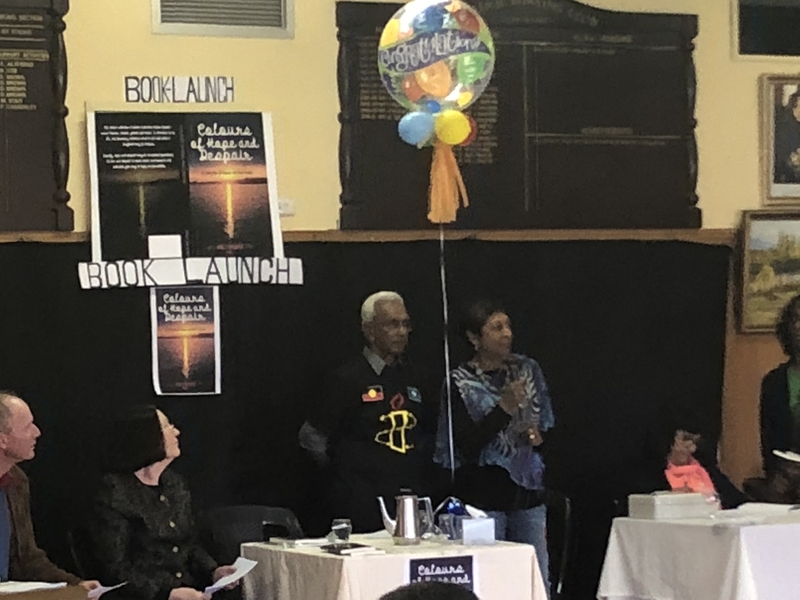 The launch coincided with Bala’s 80th birthday so there was cake! 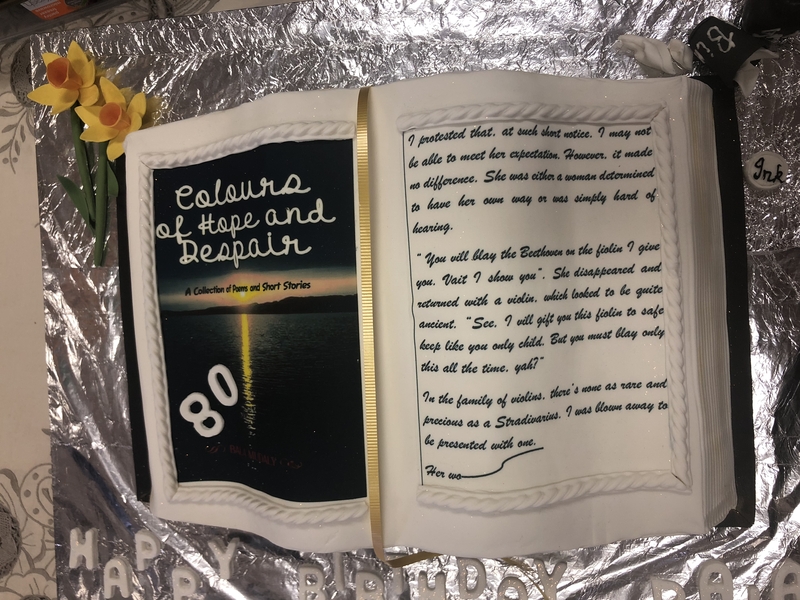 And what a cake it was – made in the design of his book. 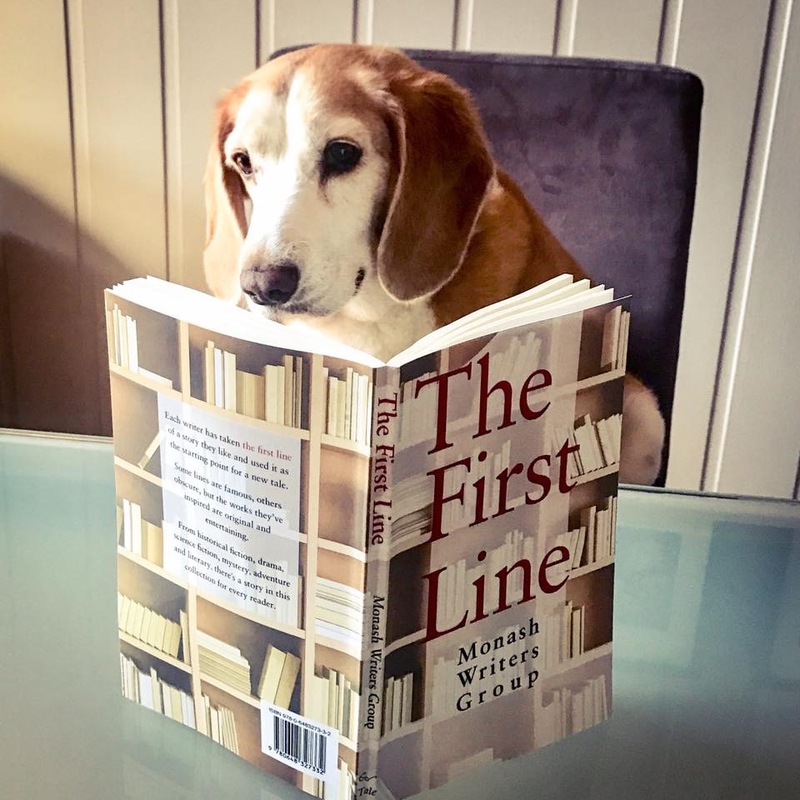 To publish a book is an achievement for anyone, but to publish your first at the age of eighty shows the only limits are those we place on ourselves. Congratulations Bala. 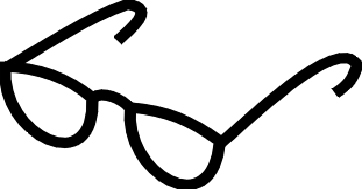 We look forward to working with you on book number two. 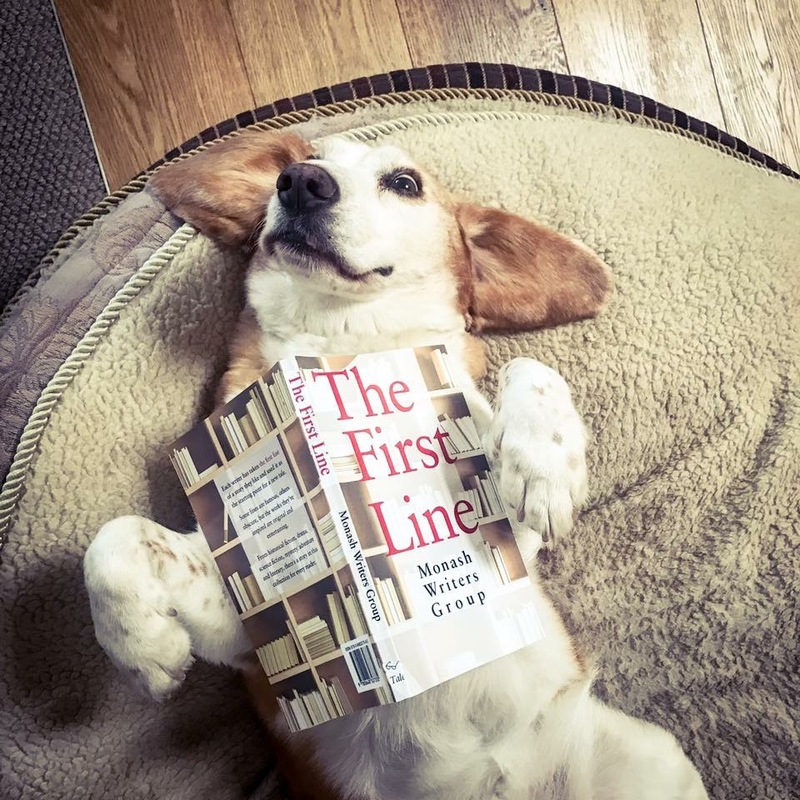 When we started a couple of years ago we set a target of publishing two to three books a year. This has proven to be both easier and harder to achieve than we thought. Easier in the sense that we’ve been overwhelmed with the interest in us as a publisher and harder in the sense of the time demand to publish that amount of books. We’d love to say yes to more of the authors who’ve pitched us, but unfortunately, we couldn’t then deliver on the promise to publish. 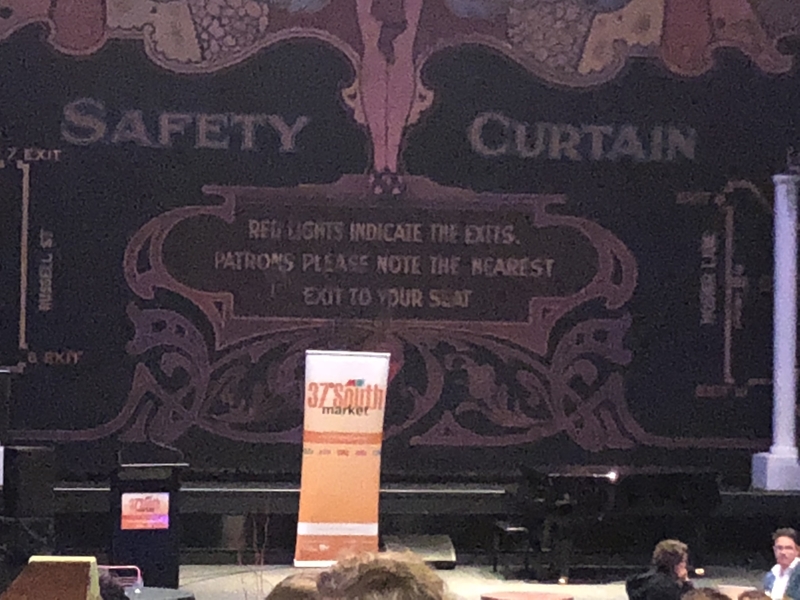 So far this year we’ve launched Year of the Queen: The Making of the Priscilla Queen of the Desert the Musical and Rapture, both by Jeremy Stanford, and Robert New’s Movemind: Speculative Short Stories. 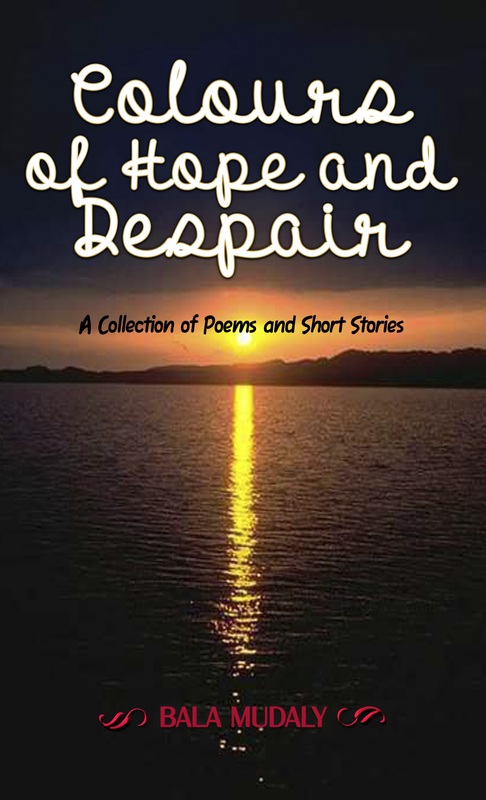 Later this month we’ll be launching Bala Mudaly’s debut Colours of Hope and Despair. That’s four books already. Technically five if we also count Robert Sayegh’s translation of Beyond Violence, which while available last year, only had wider distribution from May. We already have two titles for 2019. 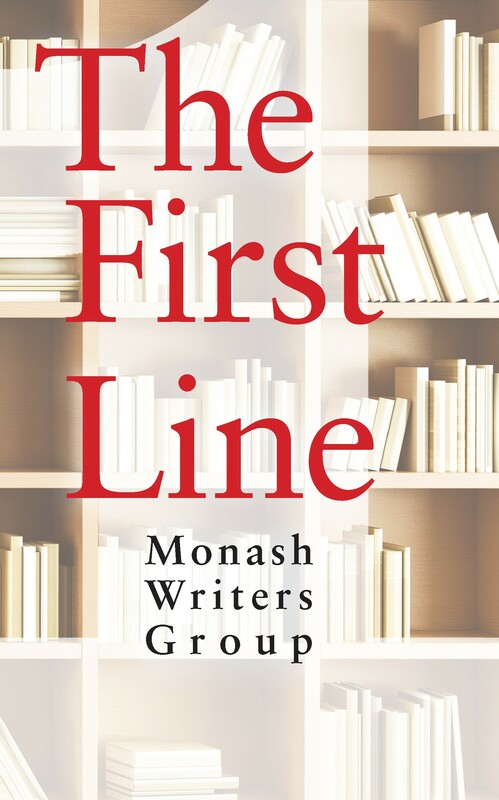 The first is our next Anthology – The First Line (due February, 2019), featuring stories by fifteen authors. They’ve taken the first line of a story they like and used it as the opening for a new story of their own. The second book is Robert New’s Colours of Death: Sergeant Thomas’ Casebook (due by Easter). Several of our authors have been out and about recently too. 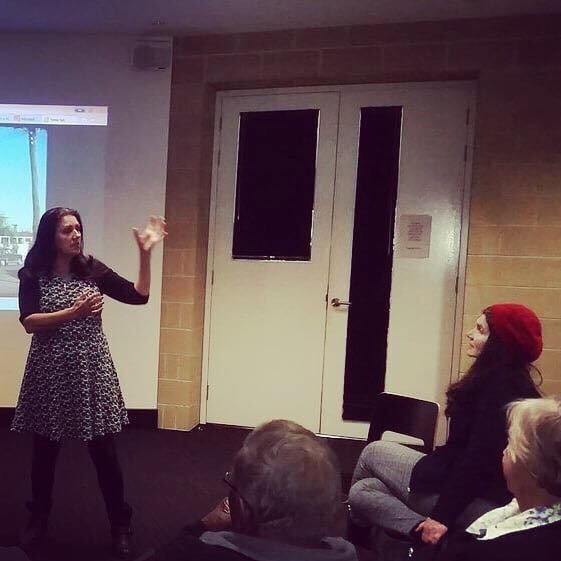 Margaret Hepworth spoke at Monash Libraries “Stories from a Hat” evening. 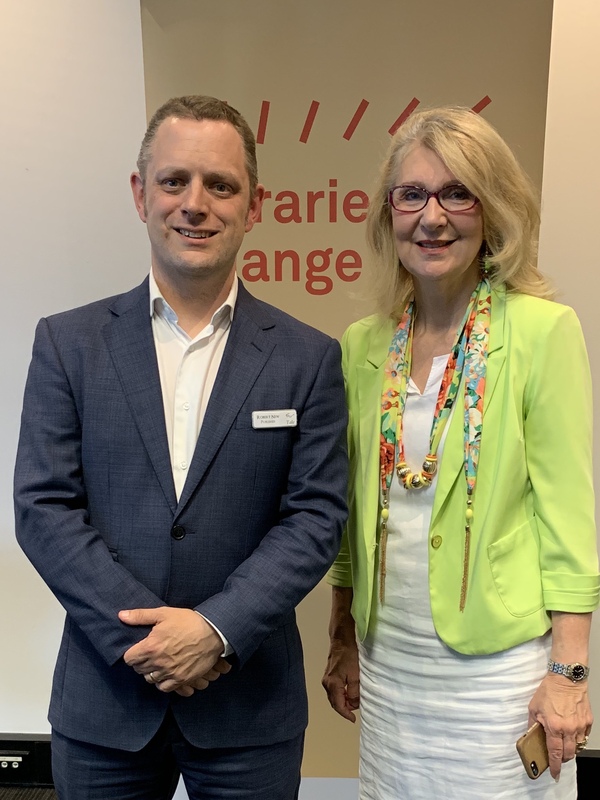 Jeremy Stanford has done a number of radio interviews (3AW, ABC Radio) and public speaking events. Christine Hoy gave a presentation on behalf of the University of the Third Age (U3A). Robert New was interviewed on 3SER and was on a panel at the Continuum Spec Fic Convention. 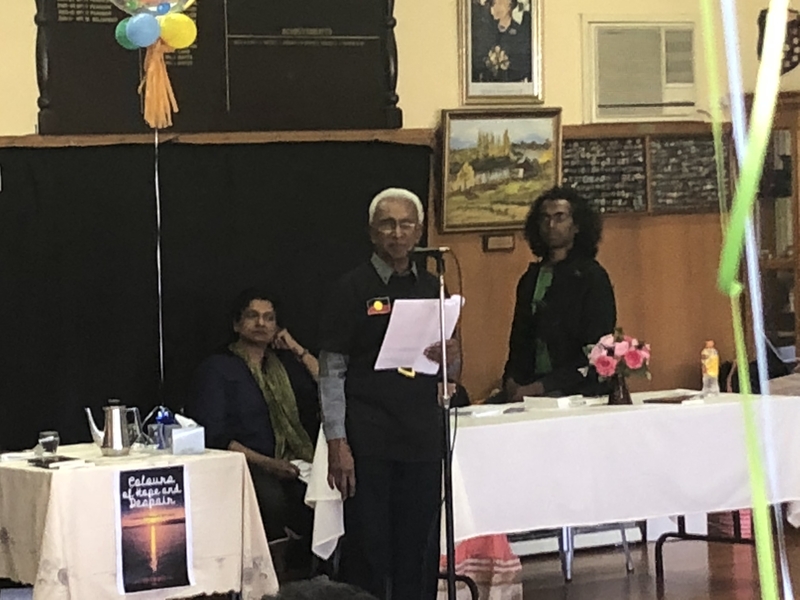 Finally, Bala Mudaly will be speaking about his book at the Oakleigh Library later this month. Congratulations to everyone on proactively promoting their work. 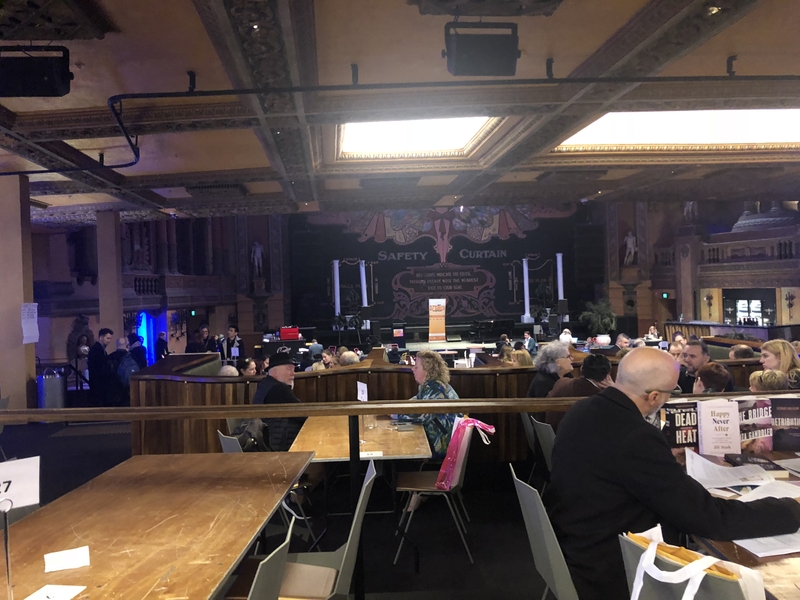 Last month we reported we’d been to the Melbourne International Film Festival to promote the idea of adapting some of our books for the screen. The one-on-one meetings with movie producers was a fascinating experience. Pleasingly, there was active interest in the role of women in the books. Note to budding authors: Movie producers are no longer interested if women are just damsels in distress or define themselves by their relationship status. They wanted strong female characters. 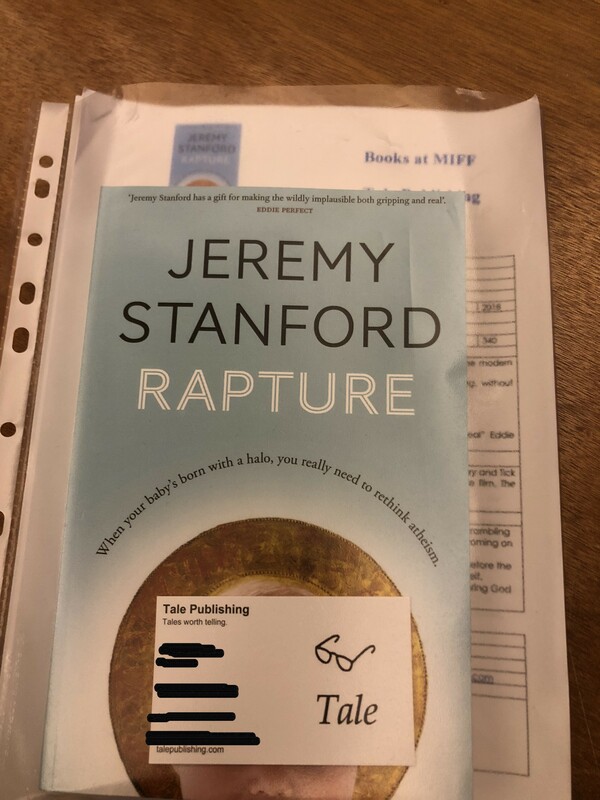 One of our books, Rapture by Jeremy Stanford had been pre-selected for a special shortlist of titles whose rights were available. This meant it had an extra promotion to the hundred plus producers taking part. The pitch was delivered by Seph McKenna the CEO of Screenwest and followed by a QnA with Seph and Tale Publishing’s Publisher, Robert New. Seph did the pitch as the voice of God (appropriate for the book) and it was very well received, leading to several producers expressing interest in the one-on-one meetings. Who knows where it might lead?